The battery is used to start your Citroën and run its electrical components, everything from headlights and windscreen wipers, to the clock, radio and touchscreen. When you start your car, the starter motor uses power from the battery to turn the engine over. This needs a lot of power, particularly for a cold engine. It’s just one of the reasons your battery is so important and why you need it to be reliable. WHY DO BATTERIES WEAR OUT? The battery in all cars will age naturally with use over time. Your driving habits and the way you drive will affect how often you will need to replace it. Short trips use the most energy and don’t allow the alternator to fully recharge the battery. 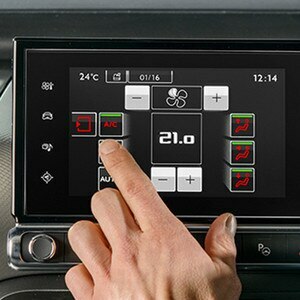 Generally you need to drive around seven miles to recover the energy used by starting the car. Other factors like extreme temperatures could also lead to early wear. DID YOU KNOW YOU CAN HAVE YOUR BATTERY CHECKED FOR FREE? Our free 23 point vehicle Health Check by our highly-trained technicians includes a check of the condition of your battery. We'll be able to let you know if it needs replacing. All cars need their battery replacing at some point. To keep things simple, we offer clear and transparent pricing, including parts, labour and VAT. We always recommend using Citroën Original Equipment and Citroën Approved* Parts when replacing your battery to avoid any risk of malfunction. An alternator that doesn’t produce enough energy will not recharge the battery appropriately. On the other hand, an alternator that produces too much energy will overcharge the battery and cause premature wear. 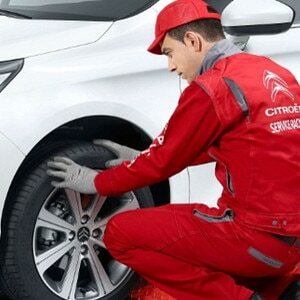 Citroën batteries offer the best in quality and meet very strict specifications. Our batteries are designed specifically for your Citroën and combine reliability with long term use, plus they benefit from a 2 year warranty. Ensure your battery is regularly tested, particularly at the start of winter, by a Citroën technician. We’ll be able to tell you what condition your battery is in and carry out a full inspection of any related parts. When you open up the bonnet, make sure that the battery is always clean and dry. If you’re not planning to use your vehicle for an extended period of time, you could consider disconnecting the battery. With normal use and by following the instructions in your vehicle’s handbook, your battery should last up to 4 or 5 years.